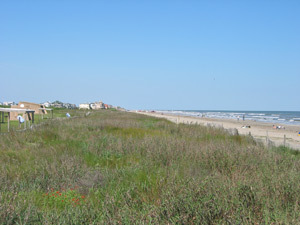 Galveston Island State Park is a great place to enjoy the beach, the gulf, and the bay. Many people that visit the park come to spend time on the beach and to camp. While it is obvious to any visitor that the park's 2000 acres are bordered on the east and the west by more developed lands, fewer folks realize that the park is an oasis of undeveloped barrier island habitats. These natural areas are important for conservation and attract a wide variety of bird species, especially during the spring and fall bird migrations. 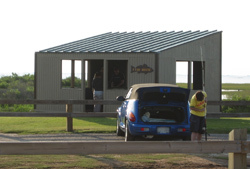 Whether you come to the park to fish, swim, lie in the sun, picnic, birdwatch, or camp you can unwind and enjoy the relaxing surroundings that are found along the Gulf and Galveston Bay shorelines of Galveston Island. There is a $5 per person entry fee, children 12 and under are free. The park is open every day. The majority of visitors to the park come to enjoy the beach. Paying your entry fee provides you access to a nice gulf beach. Facilities are limited but include restrooms and a rinse shower. Like many of Galveston Island's beaches, the park can get busy during summer weekends and holidays. Be prepared for a crowd if you visit during those times. 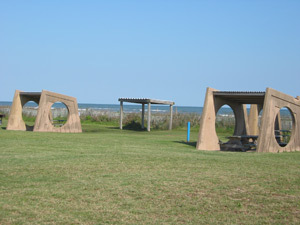 There is also ready access to the beach from the gulf camping sites. There are no lifeguards; swim at your own risk. 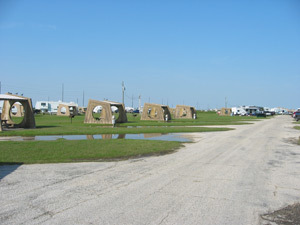 There are 66 camp sites in Galveston Island State Park. Fees range from $15 - $35 per night for the site, plus a $2 per-person actiivity fee, and applicable taxes. To find out more, check out the camping page. You can fish from the beach or bay shore, surf fish in the Gulf, or wade into and fish from Galveston Bay. A fish cleaning station is available at the end of the bayside road (the branch that passes by the bayside camping area). You should be aware of and follow all pertinent Texas fishing regulations. There is a kayak launch area on Galveston Bay. 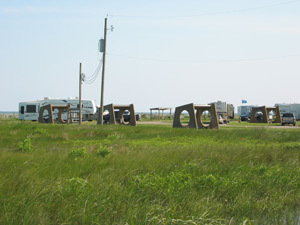 It is located off of the bay road before you reach the bayside camping area. 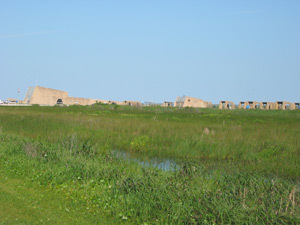 A number of trails wind through the bayside salt marsh and prairie. These habitats dominate the parkland north of the highway. The park attracts many birds - and many birdwatchers. 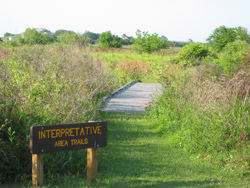 The birds visit in part because there is good, and now relatively rare, natural barrier island habitat. Birds also stop over during spring and fall migrations that lead them over the Gulf of Mexico. This website is not affiliated with the State of Texas or Galveston Island State Park. If you have any questions about the park, you should contact park management. 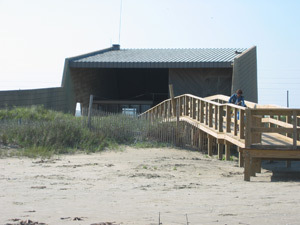 Many of the park facilities were destroyed by Hurricane Ike in 2008. Here is some of the story about how the storm transformed the park. A synopsis of the devestating damage and the great story of how so many people helped to bring the park back to state where the public can once again enjoy the park. Here is a You Tube video of the public beach area of the park. The video is a little long if you are not familiar with what this area looked like before the storm. You can watch the video and then gain some before and after perspective by looking at the pictures further down this page to see what the place once looked like. Here you can see the picnic area, the dune, and the beach. This was taken looking east from a location near the main building. The dune has been flattened and part of this beach is now gone. A view looking toward the gulf. The parking lot of the public beach area was just behind where this picture taken. 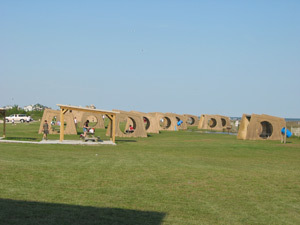 The shelters are now part of the current beach. This is a view of the picnic area as it once looked. The main building is just behind where this picture was taken from. 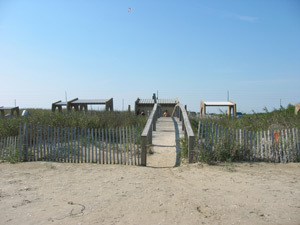 These structures are part of the current beach. This is a shot looking west from the back edge of the old beach. The walkway you see in the distance led to the main park building. All of the old walkways that crossed the dunes are gone. This is a shot of a walkway leading to one of the camping areas. This illustrates the height of the dune that was found at the back of the beach. 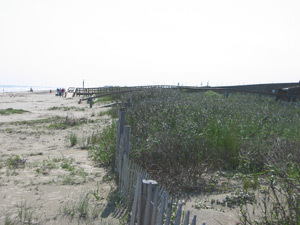 The dune was flattened and is now part of the beach. This is the park's main building. It is still standing but was largely torn apart in the storm. This is what the campground area used to look like. This is another view of the old campground. The Gulf is off the right side, just beyond the shelters you see lining the back right edge of the photo. 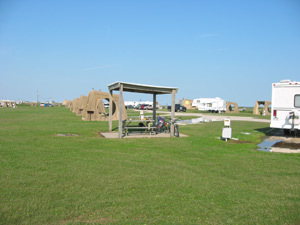 This view of the campground is taken looking directly towards the Gulf. The reason you cannot see the water from here is that the dune between the beach and the campground was high enough to blcok the water from view. This shows a view looking towards the gulf, main park building, and the eastern edge of one campground unit. It was taken from the road that paralleled the beach and led to the campgrounds. You can find additional information about the storm and Galveston Island by clicking here. There is a good set of before and after photos of the Bolivar Peninsula here. Learn all about fasting at how to fast.